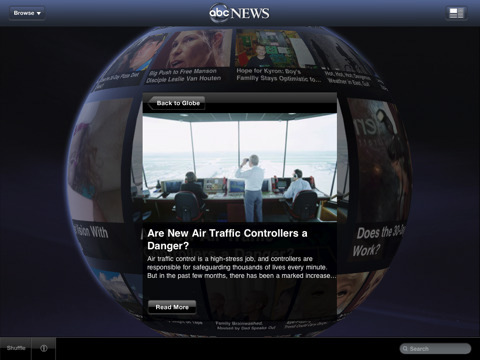 ABC News has launched a new app for Apple’s iPad that features a very unique display of news. The new app, available for free from the iTunes store, provides an interactive look at the days news stories. For more information, ABC has setup a special page on the app.